I have been meaning to write this for the longest time but just somehow unable to pen a proper entry up to now. 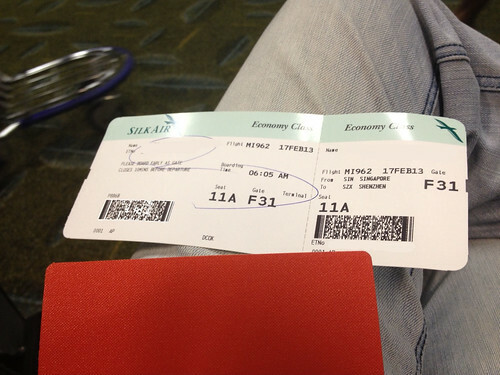 I was very miffed when I did online check-in with Silkair. The thing that annoyed me was that when I did seat selection, 48-hours before departure time, I was only left with the last row (6 seats) to choose from (see illustration on the right). Granted that the airline's frequent flyer program's elite members are able to select their desired seat at time of booking i.e. reserve seats ahead of me, surely there can't be 114 (120, accordingly to Seat Maestro, less 6 seats in the last row) elite members on board on both inbound and outbound flights? OK. Fine, then there is the priority given to those with special needs. Even so, all elite members AND special needs can't amount to 114 people, right? Seriously, if there aren't any choice to begin with, why bother with providing seat selection? In all fairness, I have to give credit to the excellent level of service provided by the flight attendants. They go all out to make sure you have a comfortable and enjoyable flight. But to tout the availability to select your seats at time of check-in when you are only given the choice to be the jagar of toilets just didn't go down well with me. Initially, I thought it was just bad luck on my outbound flight. To my dismay, it was the same situation again with my return flight. I fly CX usually for my flights back to Singapore, despite the convenience of a non-stop flight out of Shenzhen. I decided to fly Silkair/Singapore Airlines again when I signed up recently for Air China's Phoenixmiles program, thinking I can accrue the miles and at the same tine have the convenience to be able to fly out from my doorstep. I guess I was wrong on that count. Perhaps, I shall go back to flying out from Hong Kong even if it means allocating an additional 2 hours of travel time for me to get to Hong Kong airport via Shenzhen ferry. i think you are allowed to select the seats as soon as you are ticketed. therefore many people, including travel agents would have selected their seats way in advanced. Also, they kinda release the seats in phases, so you can check like 4-5 days in advance too. CJ: I booked my tickets via a travel agent in QQland and therefore don't have the luxury of being able to do the ticketing at the time of booking. Anyway, that's water under the bridge and I am no longer in Shenzhen.